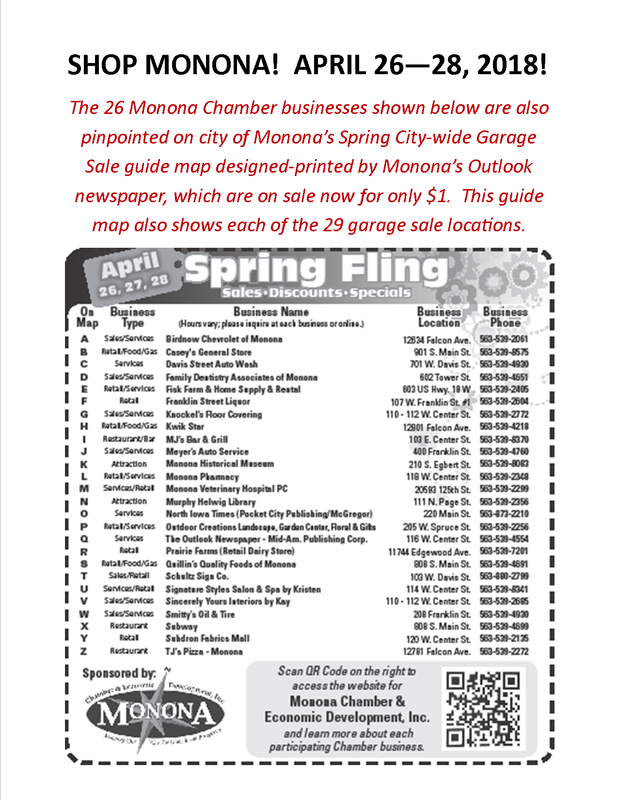 4/26/18 - 4/28/18: SPRING FLING Shopping-Dining Promotion - Monona Chamber & Economic Development, Inc. 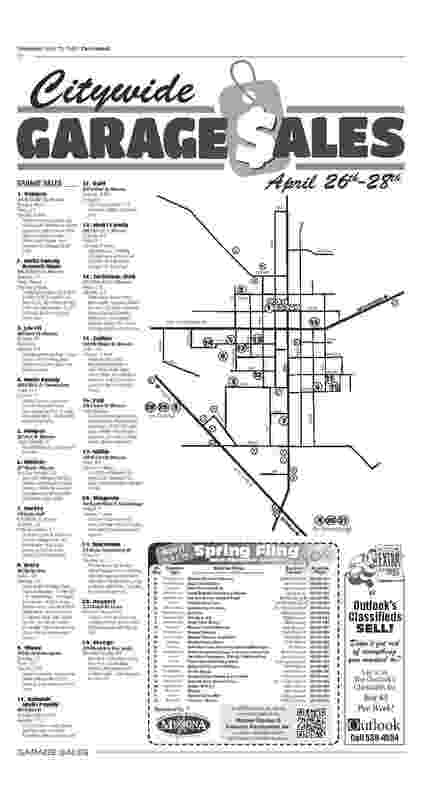 Check out Monona Chamber website's "Members" section to find a particular store, service, or item on your shopping list. If you need help, contact executive director Rogeta Halvorson. Thursday - Friday - Saturday! 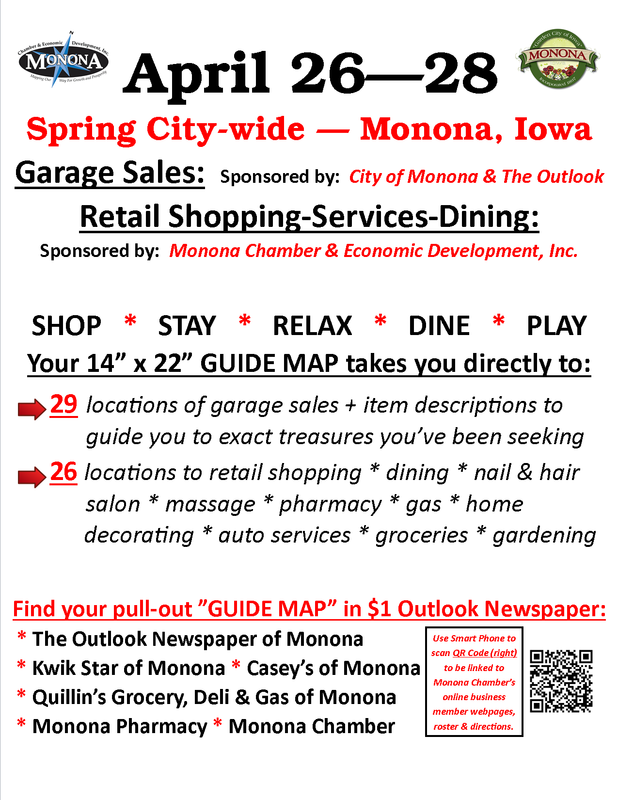 See The Outlook newspaper's full-page pull-out map insert pinpointing all Monona Chamber merchants' locations + city-wide garage sale locations. NOTE: ​What is not sold in a garage sale may be donated to Good Will, manned Sat., May 5 from 8 - 11 a.m. in Monona Community Center's east parking lot -- thanks to our Inner-Faith Council.